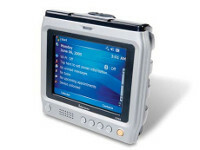 The Intermec CV30 rugged fixed-mount computer provides flexibility and high-performance capabilities in a compact design that delivers real-time wireless supply chain management right where the data is at the dock, in the freezer, on the warehouse floor, or in the yard. into your warehousing or manufacturing operation will enhance efficiency, increase safety and improve operator performance and productivity. 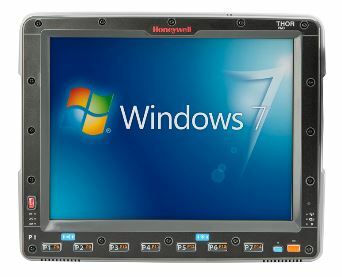 The Intermec CV30 is engineered to withstand the abuse of industrial environments and to satisfy user demands that vehicle mount computers be as durable as forklifts. Its cast magnesium housing, standard heated display and solid state design provides protection exceeding industrial and military standards. The Intermec CV30 thrives in harsh environments where dust, moisture or extreme temperatures are constants. The Intermec CV30 is the ideal ADC control center, easily managing a range of peripherals and applications, from integrated weigh-scale systems to RFID and speech recognition devices. Designed to mount on virtually any surface, the Intermec CV30’s touch sensitive display simplifies user interaction and enables faster, more accurate performance. The Intermec CV30’s compact full-screen footprint improves safety by providing maximum unobstructed visibility for the forklift operator without compromising durability. Its wireless connectivity and support for hands-free data capture maximizes productivity while freeing workers from the need to manage cables. 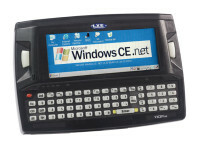 The Intermec CV30 allows users to select from Microsoft® Windows® CE 5.0 or Windows Mobile 5.0 software for Pocket PC. Both operating systems support the use of terminal emulation today as well as migration to browser-based or custom applications in future. With its support for Intermec’s Developer Library, the Intermec CV30 also provides easy hardware integration. Intermec’s CV30 includes the latest radio technologies for easy integration with multiple wireless environments. Cisco Compatibility (CCX) enables seamless integration onto existing Cisco infrastructures. Industry-standard Wi- Fi certified 802.11g radio ensures easy connectivity to existing wireless LANs with the latest in RF security protocols. Highspeed connectivity provides support for both wired and wireless peripherals, making the Intermec CV30 ideal for demanding warehouse and inventory-control applications. With the addition of Intermec’s SmartSystems, the Intermec CV30 can be used to remotely manage peripherals such as Bluetooth scanners and RFID, as well as to remotely and easily manage global deployments. 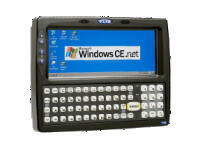 The CV30 is a rugged fixed mount computer designed for real-time data collection applications in warehousing, distribution, work-in-process, time and attendance and stationary applications. With the addition of Intermec’s SmartSystems™, the CV30 can be used to remotely manage peripherals such as Bluetooth® scanners and RFID, as well as to remotely and easily manage global deployments. SmartSystems support: Centralized remote support capability, configures, updates and maintains single devices or entire populations; real-time or batch, wired or wireless. Wavelink Avalanche™ with Intermec value added utilities.